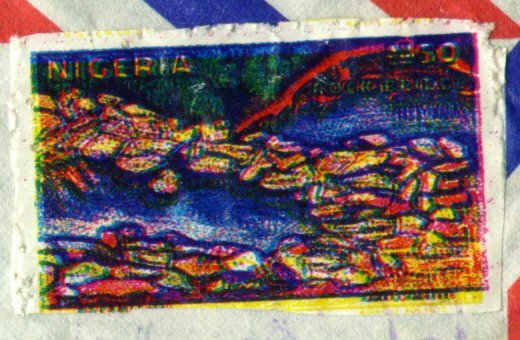 I've got a letter from Nigeria. Oh...why is this stamp a xerox-copied one? It was so glossy that I could easily find that! Please be aware...this letter is a fraud as well as the illegally-duplicated stamp. They ask for the charge (e.g. 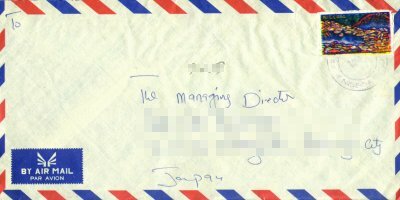 money to bribe the officials) that's never written on this letter. Once you pay for it, they disappears! TRACTS AWARDED TO FOREIGN CONTRACTORS BY THIS CORPORATION..
TRANSFERED OUT OF THE COUNTRY FOR OUR OWN PERSONAL USE. 4. THE NAME OF THE BENEFICIARY TO THE ACCOUNT.